If you are a business owner and would like earn points for every dollar you spend, the Business Edition Plus Visa Card is a wise choice. You can redeem your points for roundtrip airline tickets on any airline, office equipment, shopping and dining certificates, and much more. In this post, we'll explain the basics of the Business Edition Plus Visa Card and explain its many unique features. The Business Edition Plus Visa card offers a point-based rewards program through which you earn one point for every dollar you spend on purchases. You can then redeem your points for a variety of rewards. Available rewards include travel rewards, cash back, charitable giving, gift cards and certificates, electronics, house and home, and experiential rewards, such as spa treatments, PGA tour tickets, and hot air balloon rides. Best of all, there is no limit to the number of points you can earn with the Business Edition Visa Card. The Business Edition Plus Visa Card also comes with a variety of other card benefits and services. For one, you will enjoy a 0% introductory APR on purchases for the first six months you are a cardholder. The card also offers free online account management, which allows you to view transactions, pay your bill, and view statements for individual cardholders and companies with multiple cardholders. The Business Edition Plus Visa Card comes with such benefits and services as purchase security and extended protection, lost luggage insurance, a hotel discount program, management reports, travel accident insurance, and auto rental collision damage waiver. Thus, if you are a sole proprietorship, partnership, or privately or publicly held company that plans to take advantage of the rewards program, the Business Edition Plus Visa Card is the ideal card for you. Owning a successful small business is all about making wise choices. If you are a small business owner, getting the First National Bank Business Edition Visa Card is certainly a wise choice. This card is offered by the First National Bank of Omaha and provides valuable features and benefits for small business owners. In this post, we will cover the essential information about the card and explain what makes it a cut above the competition. The First National Bank Business Edition Visa Card is intended to provide small business owners with useful and valuable benefits and services. When you become a cardholder, you will enjoy an unbeatable 0% introductory APR on purchases for the first six months. After that period expires, you will enjoy a very competitive 9.99% APR on purchases. Your card offers itemized management reports that allow you to review your employees' business spending. These reports even allow you to separate business expenses into categories like travel, entertainment, supplies, and other costs. Additionally, these reports include a record of tax-deductible expenses, which will makes doing your taxes significantly easier when the time comes. Almost every purchase you make with the Business Edition Visa is automatically protected from damage or theft for 90 days. The card also offers auto rental insurance, which allows you to save up to $15 per day by declining the rental agency's collision coverage waiver. Finally, you will enjoy as much as $100,000 in travel accident insurance when your travel tickets are charged to your Business Edition Visa card. If you thought you couldnâ€™t carry a balance with any American Express business credit cards, think again. The Platinum Business Credit Card by American Express was designed specifically for business owners with good credit who plan to carry a balance month-to-month and prefer to handle all business expenses on one credit card. In this post, weâ€™ll discuss all the basics of The Platinum Business American Express credit card, as well as what makes it unique. For business owners, keeping all business-related expenses limited to one credit card can make tracking your spending a lot easier. You might also appreciate the option of carrying a balance month-to-month to give you a little more flexibility in your budget. This will enable you to pay your business expenses over time without accruing mountains of interest charges. The Platinum Business Credit Card offers these benefits and more. The card offers an unbeatable 0% APR on purchases for the first year and a competitive 11.24% variable APR thereafter. You will not pay an annual fee on the Platinum Business credit card, which gives it a leg up on its competition. In addition, if you transfer a balance within the first 45 days of becoming a cardholder, you can enjoy a low 4.99% APR for the life of the loan. The Platinum Business Credit Card really offers business owners the best of both worldsâ€”you get the flexibility to pay your balance over time, while still enjoying all the benefits of being an American Express cardholder. You will have access to services like purchase security and up to $100,000 in travel accident insurance. You will also enjoy considerable discounts at participating retailers, like 1800Flowers.com, AT&T, FedEx, and more. For no additional fee, Platinum Business Credit cardholders will also have access to American Expressâ€™ world-class Membership Rewards program, whereby you can earn free flights, hotel stays, car rentals, merchandise, and much more. Want a rewards program with no limits? Are you a business owner with good credit who pays in full each month? If so, the American Express Business Green Rewards card is perfect for you. American Express is renowned for its rewards program because it is one of the most flexible in the industry. You will also have the peace of mind of knowing that it is impossible to accumulate credit card debt with this card because you pay the balance off in full each month. In this post, weâ€™ll cover the basics of the Business Green Rewards Card and what makes it unique. For no additional fee, cardholders will have access to the Membership Rewards program sponsored by American Express. Because of the variety of services and merchandise for which you may redeem your points, this program is commonly regarded as one of the best in the industry. And thereâ€™s even more good newsâ€”points never expire and there is no limit to how many points you can earn. For every dollar you spend, you will earn one reward point. In addition, you will earn 5,000 bonus points for your first purchase. You get all the benefits of this card for a reasonable annual fee of $95, which you will not have to pay until the second year you are a cardholder. Bear in mind that, although this is a credit card, you must pay the balance off in full each month. This might appeal to business owners averse to accumulating credit card debt. As with any business credit card from American Express, cardholders will have access to a wealth of benefits and services. Such benefits include purchase protection, up to $100,000 in travel accident insurance, auto rental insurance, and valuable discounts at retailers like FedEx, AT&T, Hertz, and others. If you own a business and have very good credit, the American Express Platinum Business FreedomPass can offer you competitive interest rates with an excellent rewards program. The FreedomPass for business allows you to cover business expenses while earning attractive rewards for your spending. This post will cover the basics of the Platinum Business FreedomPass Card by American Express and will highlight the features that make it stand out from other business cards. For no additional fee, you will have access to the rewards program just by being a cardholder. With the Platinum Business FreedomPass rewards program, for each dollar you spend on all purchases, you will earn one reward point. You also get 5,000 bonus points after making your first purchase. You can redeem your points to make purchases at hotels, airlines, car rentals, online travel sites, cruise lines, travel agencies, and tour operators. How this works is you make the eligible purchase on your FreedomPass card, and, once it appears on your statement, you request that the redemption discount be applied. You must redeem your points for one purchase at a time. There is no limit to the amount of points that can be redeemed per purchase, as long as it is in 7,500 point increments (about $100 worth of credit), and they are redeemed in a single request. Points never expire. 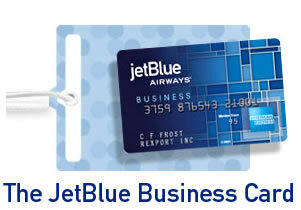 Unlike many business rewards cards, the Platinum Business FreedomPass American Express has no annual fee. The introductory rate of 0% is unbeatable, and this rate lasts for a full year, which is much longer than the introductory APRs of most cards last. Another big selling point of this card is that, if you transfer a balance within the first year of becoming a cardholder, you will lock in a low 7.99% interest rate for the life of the loan. Once these introductory rates expire, the Platinum FreedomPass for Business offers the competitive, variable APR of 12.24%. As with any American Express business credit card, you will also have access to a variety of useful services. These services include discounts from selected retailers, auto rental insurance, and up to $100,000 in travel accident insurance. Business owners in the market for a credit card that allows them to earn cash-back rewards will not need to look any further than the Discover Business Card. This card combines the appeal of 0% introductory interest rate cards with the utility of a cash rewards program. In this post, learn more about the Discover Business Card and how it sets itself apart from the competition. The Business Discover Card combines the attractiveness of a low-interest rate card with the incentive of cash rebates. For business owners with very good credit, this card has it all. With the reward program, you will earn 5% cash back on your first $2,000 in office supply purchases, 2% on your first $2,000 in gas purchases, 0.25% for purchases made at certain warehouse clubs and discount stores, and up to 1% for all other purchases. If you wish to double your Cashback Bonus dollars, you can redeem your rebates for Discover Card Partner gift certificates. To sweeten the deal even further, there is no limit to your cash rebates and the rebates never expire, as long as the card is active within a 3-year period. What sets the Discover Business Card apart from its competition is that its benefits do not stop at an unbeatable cash rewards program. The card also offers a 12-month, 0% introductory APR on purchases and balance transfers. After the introductory period expires, the rate remains reasonable at 13.99%. As a Discover Business Card cardholder, you will also enjoy discounts at select retailers. In addition, Discover offers its cardholders an array of useful services, including access to PurchaseChecks and fraud and security protection. If you are a business owner interested in getting a low-interest credit card that will earn you cash rewards, the Discover Business Card is the perfect match for you. As a fun project, we thought itâ€™d be interesting to look at the Fortune 100 companies as of 2006 and find out how each of them got their initial business financing. It was a much longer process than we expected it to be given the amount of research required, but it was really enlightening to see how many were founded via unconventional start-up methods (i.e. using a personal credit card, proceeds from timber, etc). Many of the corporate histories and company folklore involve spin-offs, mergers, and in some cases actual VC money (especially in this digital age), but each story is intriguing on its own. In the case of mergers, we tried to use the oldest unit for the financing used. The piece that really stood out to us though was how absolutely dominate some industries were on this list. Oil makes up 3 of the top 10 revenue earners? Big cars that use that oil make up 2 of the other 7, so half of the top 10 revenue producers are either oil companies or companies that fuel big oil growth. What do you think this list is going to look like 50 years from now? Will it be dominated by oil, insurance, pharmaceuticals, and telecommunications? Or, will it be biotechnology, diversified finance, Google, or heckâ€¦even Apple? Discuss this post on Digg. Merger between Jersey Standard and Socony, both previous pieces of the Standard Oil empire, controlled by John D Rockefeller. That company was formed by John, his brother, Flagler, Andrews, and Harkness. Sam and Helen Walton put up 95% of their own money for their first store. Initially California Star Oil Works, founders Taylor and Scofield brought on investors to raise $1 Million, incorporating as Pacific Coast Oil Company. Olds Motor Vehicle Company launches by Ransom E Olds with $50,000 in capital (5,000 shares of stock at $10/share). Henry Ford launched his company with $28,000 from twelve investors. A merger between Conoco and Phillips Petroleum. Conoco began as Continental Oil and Transportation company; it was acquired for 2,317,266 shares of stock by Maryland Oil, which eventually changed its name to Conoco. Initially Edison General Electric Company, various pieces merged in 1892 by financier JP Morgan. A merger between Citicorp and Travelers Insurance; Citicorp began as City Bank of New York in 1812, the first US Postmaster General. AIG was founded in 1919 by Starr, selling insurance to the Chinese, presumably with his own money. Founded as the Tabulating Machine Company in 1888, it was backed by Hollerithâ€™s personal holdings. Started by Bill Hewlett and David Packard with $538 in cash. Starting as the American Bank of Italy by Amadeo Giannini with initial deposits of $8,780. Though currently a holding company for famed investors Warren Buffett and Charlie Munger, the company started as Hathaway Manufacturing Company in 1889. Founded in 1978, its financing was arranged by Kenneth Langone. Founded in 1980 as a spin-off of Coastal States Gas Corporation, established in 1955 by Oscar Wyatt. Initially created as Olcott and McKesson in 1833, run from a small shop in NYCâ€™s financial district. The oldest unit, New York Chemical Manufacturing Company, started in 1823, initially serving New Yorkâ€™s mercantile industry. Formed by the acquisition of GTE by Bell Atlantic; Bell was a survivor of the AT&T breakup, which was founded by Alexander Graham Bell in 1875. Bell was backed by Boston lawyer Gardiner Hubbard. Founded in 1971 as Cardinal Foods by Robert Walter, as the result of a leveraged buyout on the small Ohio food wholesaler. First incorporated under Philip Morris in 1847, operating as a single shop on Londonâ€™s Bond Street. Founded by the government of Norway in 1972, it clearly had a financial leg up. Established in 1883 by Barney Kroger, using his own money. Had it happened 100 years later, it would warm our hearts to think that might have been a personal credit card. Founded in 1922 by George Mecherle on the concept of saving money for farmers on their auto insurance. Started as The Ohio Oil Company in 1887, it was purchased by the Standard Oil trust, breaking out of the trust in 1911. Founded in 1827 by William Procter and James Gamble putting in $3,596.47 apiece. What a ROI!!! Michael Dell started this growth company in 1984 as PCâ€™s Limited, with $1000. He was in college at the time, so can we assume that he signed up for a free t-shirt, got a credit card, and then used it to start Dell? It makes us feel better. Established in 1916 by William Boeing and George Westervelt; Boeing likely used the funds from his timberland to fund the start-up. A merger in 2001 between Amerisource and Bergen Brunswig. Amerisource got its start as Alco Standard by millionaire Tinkham Veale. My favorite place to buy 20 lb cans of olives opened in 1983 by James Sinegal and Jeffrey Brotman, who modeled their operations after retailing genius Sol Price. George Dayton founded this now hip retail chain in 1903 as Dayton Dry Goods Company; it was financed by a former store owner retiring and selling his interest to Dayton. Founded in 1935 by Henry Morgan and Harold Stanley due to a split on commercial and investment banking a la the Glass-Steagall act. Two cousins, Charles Pfizer and Charles Erhardt, established this company in 1849. Three brothers, Robert Wood Johnson, James Wood Johnson, and Edward Mead Johnson, formed this firm in 1885. Started in 1886 as a catalog sales firm by Richard Sears, after successfully selling watches as a station agent. Since his investment was roughly $12/watch, it could be the cheapest startup cost weâ€™ve ever seen. Founded in 1914 by Charles Merrill, quickly becoming a financial powerhouse. Established in 1868 as a mutual company as a life insurance underwriter. Incorporated in 1897 by Herbert Dow as a means to sell bleach. Starting in 1977 as UnitedHealthCare Corporation through the think-tank doc Dr. Paul Ellwood and businessman Richard Burke â€“ this was the first HMO. A merger between Anthem and Wellpoint Health Networks, this largest insurer can trace its roots back to American General Insurance, founded in 1926. It was one of the first multiple-line insurance companies. All the Bell stories come back to the beginning. AT&T was founded by Alexander Graham Bell in 1875. Bell was backed by Boston lawyer Gardiner Hubbard. Scandal! Thatâ€™s how Time Warner started in 1972 as a result of Kinney National Company spinning off non-entertainment assets. Golden sacks is more like it. Marcus Goldman started the firm in 1869, and was among the first using commercial paper to help bring companies to market (IPO). Started as a single hardware store in 1946 by H Carl Buchan, focusing on selling hard to find building materials and only dealing with manufacturers in order to get the lowest prices possible. Making sure the elevator goes to the top, this firm was established in 1867 by the sons of inventor Elisha Otis as Otis Brothers & Co.
Brown did a lot for Jim Casey when he started this company in 1907 as American Messenger Company, borrowing $100 from a friend. Weâ€™ll pretend thatâ€™s like using an advance on a credit card. Initially just as much of a place to get an ice cream soda as to get some vitamins, Charles Walgreen started this company in 1901. Henry Well and William Fargo took their knowledge of American Express with them to start Wells Fargo & Company in 1852. Joe Albertson founded this firm in 1939 using $5,000 of his own money and $7,500 borrowed from his wifeâ€™s aunt. Bill Gates, Paul Allen, 1975. Need we really say more? Gordon Moore and Robert Noyce in 1968 established Intel after leaving Fairchild Semiconductor. A spin-off of Merck, it can therefore trace its roots back to 1668 as a single drug store in Darmstadt. A merger between Lockheed and Martin Marietta. Lockheed was formed in 1926 by Allan Loughead. A group of investors bought Lockheed during the Great Depression for only $40,000. Founded initially as Melville Shoe Company in 1922 by Ward Melville. Established first as Galvin Manufacturing Corporation in 1928, producing a device that allowed battery-operated radios to run on an electrical outlet. Founded in 1904 by Daniel Best and Benjamin Holt, experimenting with steam-driven tractors. Established in 1902 by George Archer and John Daniels as a licensed crushing company. The result of a merger between Wachovia Corp and First Union Corp, Wachovia was first established in 1879 by William Lemly. Created in 1931 as a part of Sears, Roebuck, and Company. Its financial history is therefore tied to #34. A merger between Sprint and Nextel, Sprint was founded in 1899 by Cleyson Brown, under the name Brown Telephone Company; its name changed after emerging from bankruptcy in 1938. Founded in 1993 by HealthSouth Corp and their former CEO, Richard Scrushy; Scrushy had founded HealthSouth in 1984 by pooling $50,000 with the help of some friends. The taste of a new generation began in 1898 by Caleb Bradham. The store where Caleb first produced Pepsi wasnâ€™t even paid with in money, but on credit and a smile. On credit? That makes us smile. Established first as a dry goods stores that found itself in a secondary market for cotton in 1844 by Henry, Emanuel and Meyer Lehman (yeah, they were brothers). The younger brothers later helped to establish the New York Cotton Exchange in 1870. In 1923 the magic began with the Disney Brothers Cartoon Studio, founded by Walt and Roy Disney and animator Ub Iwerks. Walt started the dream for Walt Disney with $40 in his pocket. John Dryden founded this firm in 1875 as Friendly Assurance Company. Early policy holders of Prudential insurance paid only 3 cents a week. Founded in 1993 as a master limited partnership building the Cushing Terminal. Initially the Peoples Natural Gas Company in 1886 by Joseph Pew and Edward Emerson. They paid $4500 for their two oil leases near Lima, Ohio. It was created in 1994 when Northrop purchased Grumman. Northrop was founded in 1927 by Jack Northrop, initially as Avion Corp. After selling the first company and working for the successors, he established another Northrop in 1939. In 1969 John Baugh convinced 9 food distributors to merge: Zero Foods, Frost-Pack Distributing Co, Global Frozen Foods, Houstonâ€™s Food Service Co, Louisville Grocery Co, Plantation Foods, Texas Wholesale Grocery Co, Thomas Foods, and Wicker. Founded in 1850 by Henry Wells, William Fargo, and James Butterfield, Amex has a shared history with #47. Fred Smith founded this firm in 1971 with $91Million in venture capital money and a $4Million inheritance. Mark Honeywell in 1906 established this firm, merged it with Minneapolis Heat Regulator Co, and has virtually controlled the closed loop thermostat business since. A spin-off from Ingram Industries in 1979, named for the Ingram family. Founded in 1802 by Eleuthere du Pont, manufacturing gunpowder. He raised capital for his firm by briefly returning to France in 1801. Established in 1845 as the Nautilus Insurance Company with $17,000 in assets by James Ogden. Professor Warren Johnson in 1885 brought Johnson Controls to life with the first electric thermostat with the help of a group of Milwaukee investors. Richard Shulze in 1966 opened an audio specialty store; he made the best out of local disasters, truly taking to the meaning of tornado sales and fire sales. A spin-off from General Motors in 1999, it has a shared history with #4. Founded in 1810 in Hartford Connecticut (what a nice coincidence). Established in 1886 by Charles Hall, teaming up with Pittsburg metallurgist Alfred Hunt. Founded by John Tyson in 1935 with the purchase of 50 chickens that he intended to raise and resell. Retired professors everywhere owe Andrew Carnegie who in 1918 setup the Carnegie Foundation for the Advancement of Teaching. It was endowed initially with $1Million. Formed in 1898 through the consolidation of 17 different pulp and paper mills. Married couple Len Bosack and Sandy Lerner routed their passion into business in 1984 while they were both graduate students at Stanford. The Frist familyâ€™s fortune was first generated by founding this firm in 1968. The merger between St Paul Companies and Travelers Property Casualty Corp. St Paul Companies was established in 1853. Media titan Rupert Murdoch started News Corp in 1980 from assets received from a 1952 inheritance. Started in 1929 as a holding company for Abraham & Straus, F&R Lazarus & Company, and William Fileneâ€™s Sons. Abraham & Straus was opened in 1865 by Abraham Abraham and Joseph Wechsler, each of whom put in $5000. Created in 1919 as a holding company for Amerada Petroleum Company by Lord Cowdray. Starting as a French Wine Cocoa by John Stith Pemberton who invented its predecessor in 1884. Of course, he sold the rights to manufacturer the stimulant twice near the end of his life. Doh! Founded in 1900 by Friedrich Weyerhaeuser by the purchase of 900,000 acres of timber from J.J. Hill. Formerly Aetna Insurance Company, a company that issued its first policy in 1850, 30 years after it was established. The late start didnâ€™t hurt though, given its current financial status. Established in 1851 by George Rice in sparse room consisting of a table, 3 chairs, and a city map. He could have used a shiny new credit card back then. Wallace Abbott started his namesake in 1888, pioneering modern pharmacy through alkaloid pills. Started in 1963 by Ralph Roberts, Daniel Aaron, and Julian Brodsky with the purchase of a 1200 subscriber cable system. Tracing its history to 1668 drugstore owner Friedrich Merck. It shares its history with #52. In 1842, Dear John letters took a double meaning with the founding of Deere by John Deere with partner Leonard Andrus. Established in 1922 as the American Appliance Company by Laurence Marshall, Vannevar Bush, and Charles Smith. Financial backers were arranged for the production of a home refrigerator. On your side since 1925, first as the Farm Bureau Mutual Automobile Insurance Company; it incorporated with 1,000 policyholders. Started as the Washington National Building Loan and Investment Association in 1889; it made its first home loan for $700, or the price of a grande cappuccino.